Most of the anglers I know caught rockfish last year. Some of us here in Maryland had a pretty good year. One of the reasons we caught well in 2014 is because we had a lot of fish very close to home. I don’t like to kick off a new year on a down note, but I’m not too excited about our catching last year. Our area is one of the few places in the country where striped bass fishing was decent in 2014. Did we have a good year, or have we lowered our expectations? I started the 2014 catch-and-release season last January by fishing the warm water discharges in the Patapsco River and in southern Maryland. Those places didn’t produce like they have in year’s past, but there were some nice fish in the discharges. Unlike previous years, I didn’t bother to visit the Bay Bridge Tunnel or the Susquehanna Flats in 2014. Many Marylanders used to refer to the area around the Bridge Tunnel as The Promised Land for striped bass fishing. Now, hardly anyone makes the trip there. There just aren’t enough rockfish to make light-tackle, artificial-lure fishing worthwhile. It’s the same for the Susquehanna Flats. One of the highlights of Maryland fishing used to be catching big stripers via fly casting or light tackle on the Susquehanna Flats. That area is only a shadow of what it once was. Things started looking up last May when post-spawn fish started moving out of the rivers. My buddies and I caught nice fish on both sides of Kent Island in addition to fishing spots around the Bay Bridge. By the end of June, fish were concentrated around the bait schools at the mouth of Eastern Bay. This striper school became the primary target for trollers and bait fishermen from all over the region. Since there were very few stripers in other areas of the Bay, we saw charter boats running to this one school from as far away as Harve de Grace and Solomon’s Island. There were days during the summer when I counted over a hundred and twenty boats in a square-mile-area north of Poplar Island. Since I don’t like crowds, I spent most of my summer targeting redfish or running miles farther to remote locations seeking structure-oriented stripers. By early fall, we started seeing fish schooling in the rivers on both sides of the Bay. That’s the typical fall pattern, but these rivers didn’t produce nearly as well as they did last year and in the years before. I thought the shallow topwater bite was also off a little last fall, although we did catch some fish along the shoreline in both the eastern and western shore rivers. We didn’t see very many ocean-run stripers in the Maryland part of the Bay last fall. We caught a few nice migrating fish, and the trollers turned up a few, but fishing was nothing like we’ve seen in previous years. There were some rockfish farther south along the Maryland/Virginia line, but comparitively few big migrating stripers were caught in Maryland last fall. As we reached the coldest days in December, there were still a few reports of smaller fish near the mouth of the Potomac River and the warm water discharges are beginning to produce a fish here and there. Anglers close to home are having pretty good luck jigging deep around the Bay Bridge rockpiles. My friend Bill Schotta uses the term “the new normal” to refer to the current state of striped-bass fishing in the Chesapeake. Sure, we’re still catching fish and having fun, but the striped bass fishery is only a shadow of what it once was and a fraction of what it could be. The fish are becoming more and more concentrated in a few select locations. I believe most of us have lowered our expectations and resigned ourselves to travel farther and work harder to catch fewer fish. To quote charter captain John McMurray from Long Island, New York, “it’s not where the fish are, it’s where they aren’t.” Many fishermen were encouraged in late 2014 when it looked like reductions would be made in striped bass harvest. Now, I’m hearing that many states including Maryland are completely disregarding the wishes of over 80% of the fishing public and playing with the reduction numbers under the guise of conservation equivalency. That’s discouraging, especially since we’re already seeing the consequences of poor management. One of our resolutions for 2015 should be to work harder to encourage those who are in charge to take better care of the striped bass fishery, and especially to protect the bigger fish that are so important to sustaining the species. 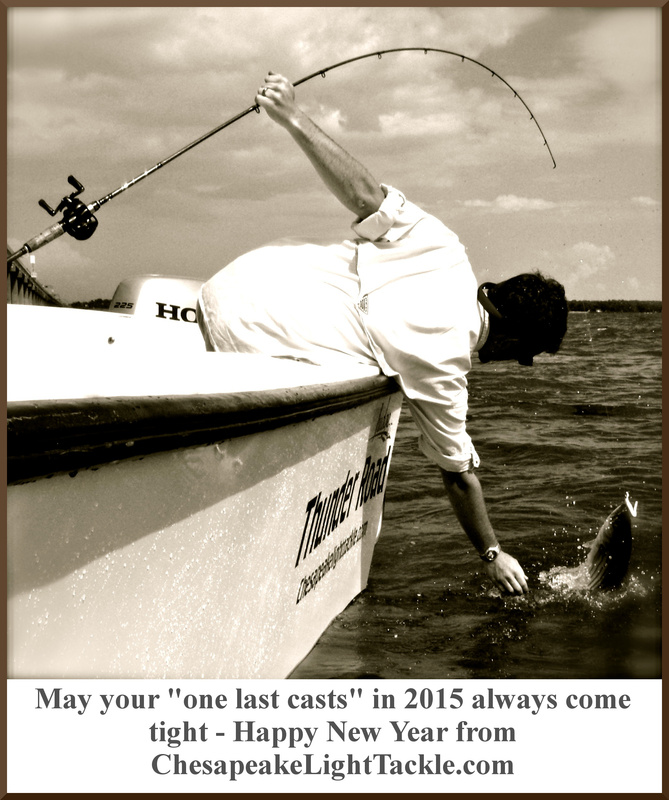 Good luck fishing in the coming year. In 2015, let’s make it about how many stripers we can save, not how many we can kill. 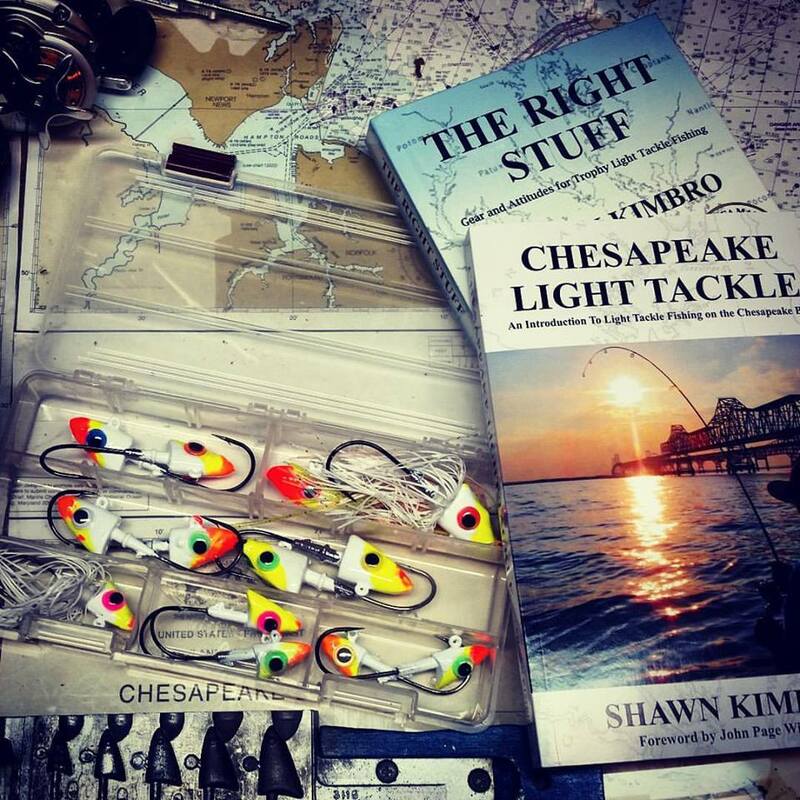 Does your book cover shoreline fishing, locations, and fly fishing?